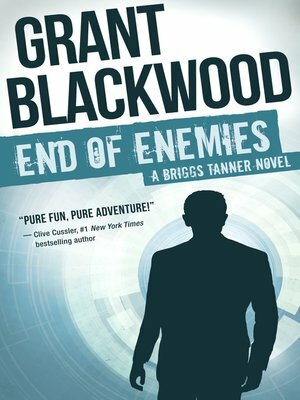 #1 New York Times bestselling author Grant Blackwood introduces Briggs Tanner in a trilogy that Clive Cussler raves is "Pure fun, pure adventure." Covert agent Briggs Tanner doesn't like coincidences. In his business, they always mean trouble. So when a man is professionally assassinated right in front of him, Tanner wants answers. Who pulled the trigger and why? And what is the mystery behind the key the man clutched in his dying hand—the key that Tanner now possesses? His search will lead him on an international trail, city to city, from the depths of the Pacific Ocean to the bullet-ridden back alleys of Beirut, all the way to a deadly secret—buried since the end of World War II—that only Tanner can keep from falling into the wrong hands.